Light, resilient, strong and safe, Glasswool is the ideal insulation material for home dwellings. Glasswool is an excellent thermal and acoustic insulator and studies have proven its insulating properties continue to perform over time. From a safety perspective, this material can improve the fire safety of a building as it is incombustible and can even be used as a fire barrier in some situations. This material has a neutral PH and does not absorb moisture, so there is no risk of mould, chemical discharge or erosion. 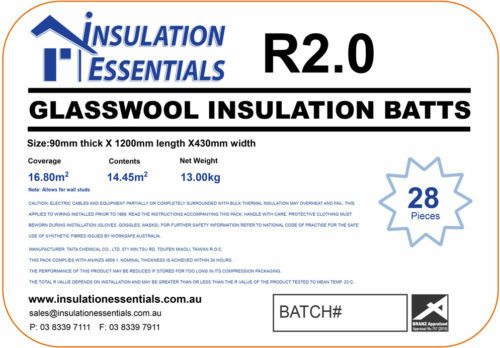 From a practical perspective, these wall and ceiling batts are lightweight making them easy to cut and install, they also don’t settle over time. 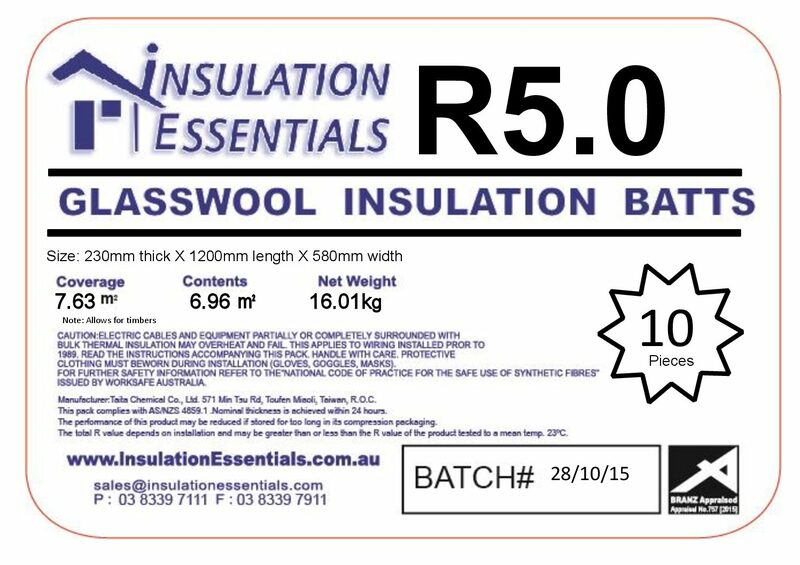 Finally, as it is one of the most cost-effective insulation materials on the market, these batts are an ideal insulation solution for building projects of all sizes and budgets.